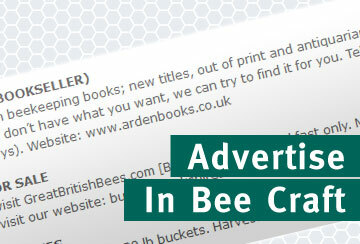 You can advertise within Bee Craft, within our magazine and on our website, further information on advertisements rates are available here and from our Advertising Manager - email adverts@bee-craft.com today. Should you be a not-for-profit organisation, or beekeeping group, and wish to promote a beekeeping related course on our website then you can submit your course details here. Equally should you have a beekeeping related event then let us know and we can promote it within our events page. Great care is taken to ensure advertisements are correct but no liability is taken for errors or omissions. IMPORTED BEES: the BBKA policy is to discourage the importation of bees and colonies from outside the UK. Prospective purchasers should satisfy themselves as to the origin of bees offered for sale. Bee Craft accept advertisements in good faith and cannot take responsibility for the heath of any queens, bees, or brood obtained in response to advertisements. BUMBLE BEE POSTER – 22 BUMBLES £8.76 IN TUBE (22¾” X 15½”). From BBB, Ash View, Much Birch HR2 8HP. Tel: 01981 540907. 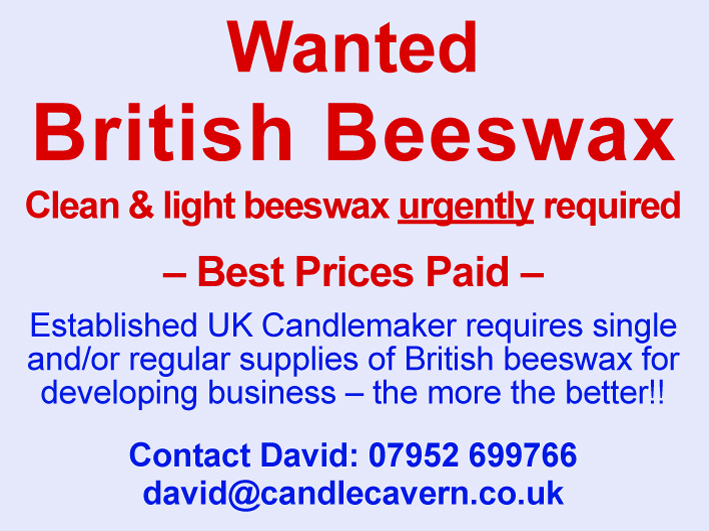 APRIL 27 – WEST SUSSEX BEEKEEPERS’ ASSOCIATION 45th annual Bee Market and Auction. Auction of bees and equipment at Brinsbury Campus, Pulborough. MAY 18 – GLOUCESTER BKA LIVE BEE & EQUIPMENT AUCTION New venue, Royal Agricultural University Cirencester, GL7 5PU. Lots taken 0800hrs. Equipment auctioned 1200hrs. Live bees 1500hrs. Further info. www.gbka.org.uk. Bernie Danvers 01594 825063. JUNE 22 – BERKSHIRE BEE HEALTH DAY NBU workshops and talks at Earley St Peter's Church Hall, Church Road, Earley, Reading RG6 1EY. 9.30am-4.30pm. Bring your lunch. Tea and coffee available. Sponsored by BDI. More info from educationRBKA@gmail.com or check www.RBKA.org.uk.